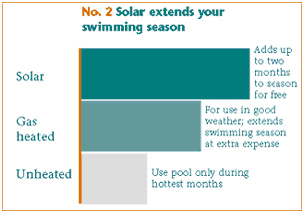 Solar pool heating is the most economically attractive option for pool heating and for extending your swim season. Solar energy is more economical over the life of the system than a pool heater that uses electricity, fuel oil or propane gas. 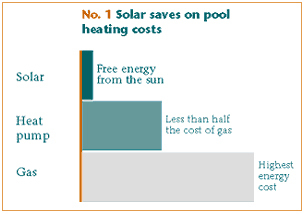 Compared to other pool heating technologies, a solar pool heating system pays for itself within 2 to 4 years. 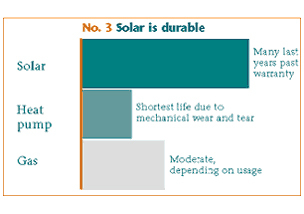 Provides the lowest annual operational costs (energy is provided free from the sun). Provides the lowest maintenance costs (minimal if any). 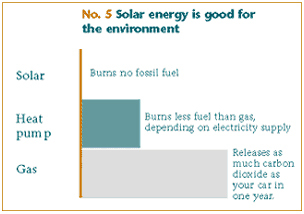 Is the cleanest, safest and quietest source of energy. 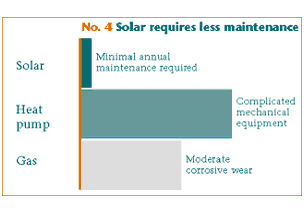 Has the longest lifespan (no moving parts, no corrosion) - almost always outlasting their warranties.